In IS: 456-1978, the different grades of concrete are given as M10, M25, M20, M25, M30, M35, and M40. In the classification of concrete mix, the letter M denotes the Mix and the numbers 10, 15, 20, 25, 30, 35, 40 represent the predetermined works cube strength of 15 cm cubes after curing of 28 days in N/mm2. Note 1: M5 and M7.5 concrete also exist which can be used in lean concrete bases/mud and for ordinary masonry wall foundation. Note 2: Concrete grade less than M15 should not use in reinforced concrete. Note 3: M10, M15, M20…. concrete approximately equal to 1:3:6, 1:2:4, 1:1.5:3… nominal mix. This is very helpful and support to me in increase the knowladge in field of best civil engineering works. I hardly thank you sir in my harts. nice site. knowledgable things given here. thnku very much for sharing valuable things. plz load other subjects related to civil here. This site have made me to have more confidence in my self as an engineer, thanks to those that are putting their efforts back there for us to smiling at the other end. Very informative. Can anyone tell me whether the grade of concrete has any influence on the impact strength of concrete? 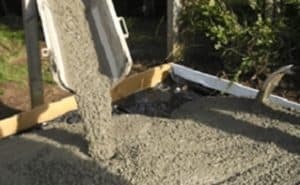 Does increasing the grade of concrete increases the impact strength? Thanks a lot. Thanks to given such a information but i need to know that which Grade concrete we can use to make the concrete holo bricks. IT is given as a note that we should not use concrete grades less than M15. Why is it so? Helpful, knowledgeable, very practical to working people’s.many Many thanks.